EdTech is changing the face of education in India, and this shows in the substantial amount of funding they have been able to raise and the change in the mode of education preferences that has been noticed in a span of year. The global size of the education sector was $5.4 trillion (6.9 per cent of global economy) in 2015 as per estimates by World Bank and IBIS Capital. 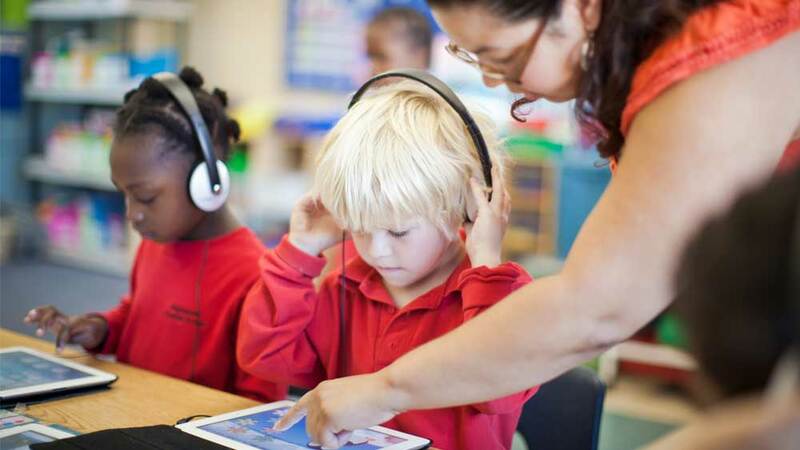 Venture capital is pumping into edtech. Of the $86 billion aggregate VC deal value globally, education sector attracted $1.9 B (2.2 per cent of total deal value) in 2014 as per estimates by Preqin and CB Insights. EdTech companies seem to have master technologies to disrupt the way tuition and coaching are delivered to students. Below is a list of 7 EdTech startups from India to watch out for in 2016! Embibe is an online portal that consists of a team of entrepreneurs, who help students get coaching for various entrance examinations like JEE, AIIMS, AIPMT, CET and many more. It was founded by an ex-TCS employee, 33-year-old Aditi Avasthi, who wanted to change the way students prepared for competitive exams. At present, Embibe boasts of over one million student users. Last year, this EdTech venture raised $4 million from early-stage investor such as Kalaari Capital and Lightbox. A major concern for Indian education is poor comprehension which ultimately affects career prospects. Bengaluru-based Plastic Water Labs is attempting to tackle this by introducing virtual reality (VR) as a solution. According to their internal evaluations, VR is a great solution with its multi-sensory allowing spatial thinking; since students are placed in an immersive metaverse, they learn and retain better by both observing and interacting with the subject matter. The solution is being built for students in Classes VI-VIII to understand science and mathematics better, along with the current educational resources. The VR lessons will be delivered over Android-based smartphones and can be ‘VR’ed’ through Google cardboard, on a monthly subscription of Rs 350. Vedantu is an online education platform started in 2011, providing tech-based education to the students that enable personalised learning. Students and teachers here get access to live learning in between them. On this platform, students can select a teacher from the lot of quality teachers. User can use tools like whiteboard, audio and video technology for the interactive learning sessions. The company focuses on technology and has created in-house products, which are very optimised for low bandwidth conditions. They’ve raised a funding of $5 Million from Tiger Global and Accel. EduKart is an online entrance coaching site that caters to the needs of almost every individual. Apart from courses for high school students appearing for various competitive examinations, the company offers undergraduate and post graduate courses for everyone who seeks help in management, engineering, medical, civil services, business, Law, and various other interesting courses. The startup acquired $1 million funding from Holostik Group's United Finsec, Yuvraj Singh's YouWeCan Ventures, 500 Startups, and a bunch of other investors in June '15. EduKart projected a tremendous growth for themselves last year. This super-interesting EdTech firm focuses on giving training to students aspiring for IIT JEE, pre-medical and also the foundation courses (starting from class 8) for various competitive examinations. They provide the students with unlimited practice tests along with learning material and students' doubts are answered personally on live chat. Till date, Toppr has raised $12.2 million in three funding rounds from four investors, such as Fidelity Growth Partners India, Helion Venture Partners, SAIF Partners, InnoVen Capital India and Powai Lake Ventures. WizIQ believes in delivering high impact online teaching and training through mobile apps by making virtual classrooms possible. Their online academy builder includes live classes, integrated cloud storage, mobile learning, tests and assignments and many other interesting features. Hailed as the 'best virtual classroom provider' at the World Education Congress, one should expect a promising 2016 from WizIQ. In India, one of the common problems for parents is to identify a tutor with conducive practices and continually engage with them. On the other hand, for tutors, marketing their practices in an over-crowded space, identifying and assessing remediation needs and adapting to tech-intensive solutions are major challenges. Research has shown that education accounts for nearly 12 per cent of expenditure in an average Indian family and over 89 percent of parents use curriculum-based assistance for their children. Delhi-based XPrep is solving the visibility and engagement problem within the tutor-parent network by enveloping tutors under its single umbrella banner. It enables these tutors with technology to cater their students in an enriching manner as well as communicate with parents in a transparent manner. Over 80 tutors have partnered with XPrep and are serving more than 3,500 students. The start-ups above are steering the education industry in India on its way to growth. They are setting example for many new EdTech start-ups joining the race with their innovative ideas. Sports academies doing business right..